Linear Fisher classification functions, canonical linear discriminant functions, and trees (rules) for classification and prediction of the stability of sodium (18-crown-6Na+) and potassium coronates (18-crown-6K+) from the properties of aqueous-organic solvents (water—methanol, water—propan-2-ol, and water—acetonitrile) have been obtained basing on multivariate exploratory analysis. 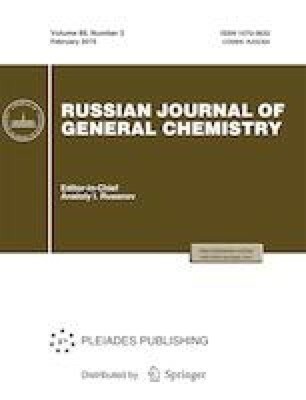 The proposed approach to prediction of the coronates stability has been verified using independent experimental data on the stability constants of sodium and potassium coronates in water—dioxane and water—acetone mixtures. The constructed classification functions and rules have possessed high predictive potential. Russian Text © N.V. Bondarev, 2019, published in Zhurnal Obshchei Khimii, 2019, Vol. 89, No. 2, pp. 288–300.